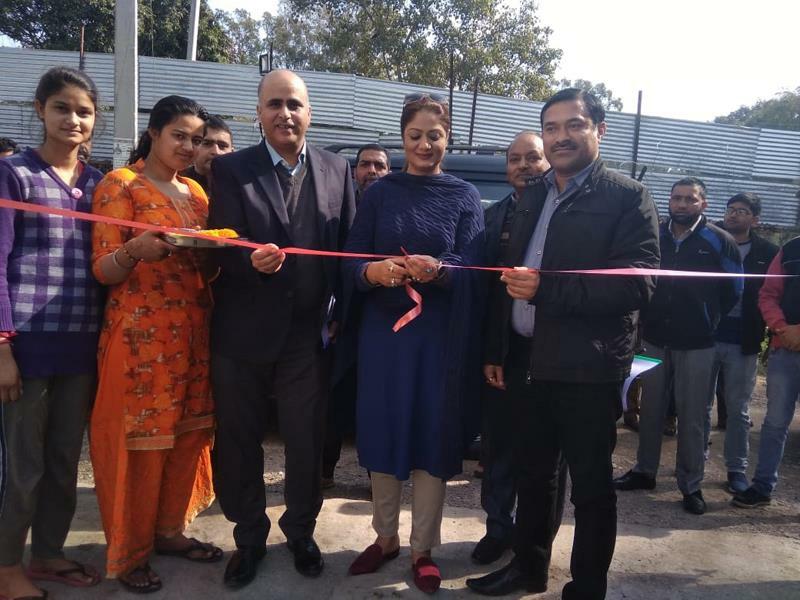 JAMMU: Dr Hina Shafi Bhat, Vice-Chairperson of Jammu and Kashmir Khadi and Village Industries Board inaugurated two newly established Cemented Tiles and Steel Fabrication Units sponsored by KVIB under PMEGP at Chatta Satwari and Bishnah Sarore. He was accompanied by Secretary/CEO-Rashid Ahmed Qadri, Board Member-Rajesh Gupta and Divisional Officer Jammu, Pawan Kumar Gupta, besides a large number of locals. Vice Chairperson said that several steps have been taken by the State and Central Governments to facilitate the budding and potential entrepreneurs to establish their own enterprises to become self-reliant. She stressed for a change in the mindset of the unemployed youth towards entrepreneurship and impressed upon them to become job providers instead of job seekers. "Unemployed youth must come forward to avail the benefits of various schemes of State and Central Governments being implemented by J&K KVIB," she urged and further directed the officers of KVIB to encourage the people to take the benefit from these schemes in a time bound manner. Secretary/CEO while highlighting Board's achievements under Prime Ministers Employment Generation Programme, said that the board has surpassed the target of 1002 micro industrial units by establishing 2024 micro industrial units in 2017-18. He added that in 2018-19, against the target of 797, the Board as on date has established 2148 micro industrial units involving margin money outlay of Rs 41.40 crore, thereby envisaging employment for 13962 persons. Secretary/CEO informed that in July 2016, J&K Khadi & Village Industries Board was designated as Nodal Agency (NA) for the state of J&K under SFURTI by Ministry of MSME (GOI).